Don’t put your bunting and Union Flags away just yet! It has been confirmed that Prince Charles will visit the Friendliest Port in July. 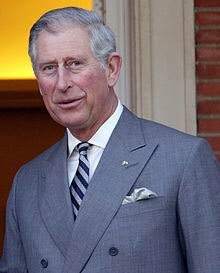 HRH The Prince of Wales will meet representatives of local businesses and community groups, volunteers and young people from the town. The Prince will visit the Pride of Northumbria shop in Queen Street, and meet volunteers and artists. Afterwards he will walk to the Town Square, where he will meet representatives from Amble Business Club, Amble Town Council and community volunteers. Young people will also meet the Prince, representing several volunteering projects including AmbleGPX and the skateboarders. His Royal Highness will also be introduced to local fishermen, and an RNLI representative. There will be music and entertainment in the Square, organised by the young people who put on last year’s Emerge summer concert. One thought on "Royal visit to Amble"
Amble has never been so popular – GOOD, GOOD, GOOD. What with Prince Charles visiting. And mentioned on Classic fM this AM by John Suchet. Wow………………! What next ? Mary Queen of Strops ?! Yes, that is how she is known !